There is a new solution that is resolving trust fears. Blockchain has completely revolutionised the way in which data can be stored and accessed. Awareness has never been rifer on where our personal data is going, who is harvesting it, and for what purpose. This was brought to prominence in March after 87 million Facebook users’ personal data had been collected, unknowingly, via a third-party app and shared with election consultancy Cambridge Analytica. It has been described as the biggest security breach of the 21st century, leaving many unanswered questions over how safe our private information really is. Questions have begun to arise as to what technology can be used to make sure our data stays safe, thereby ensuring our trust is not misplaced or broken. In the case of Cambridge Analytica, the problem is not one of trust. The data was collected legally, and users gave their authorisation for it to be used on the app, however the challenge faced was around a loop hole allowing Cambridge Analytica to collect information on other Facebook users who did not agree to take this test, and this information was then repurposed. There is a new solution that is resolving trust fears. Blockchain has completely revolutionised the way in which data can be stored and accessed. The information held on it acts as a shared database, yet no central version of this exists for a possible hacker to corrupt. It means that the more devices that are running Blockchain enabled software, the more secure of a network it becomes. It also provides another physical layer of protection for users to further guard against hackers attempts, providing more security when compared with other database-driver security structures. There are many applications it can be used in, but it is most suited for cases where there is somewhat of a trust issue between the user and the provider. Utilising Blockchain can also potentially help enhance cyber-defence as the platform prevents fraudulent activities via consensus mechanisms and detects data tampering depending on its underlying features of operational resilience, data encryption, auditability, transparency and immutability. Organisations such as Facebook, Amazon and Google are already using blockchain as a data storage solution - or are at least running experiments on how to best leverage the technology. 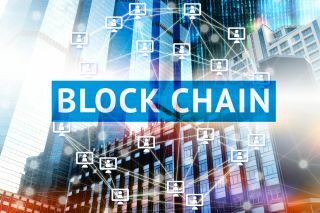 Other businesses are also swaying towards using this type of technology due to a sudden trend rise in using the word ‘Blockchain’. Although it attracts a higher valuation, not everything can be solved by Blockchain and just because you can use Blockchain doesn’t mean that you should. Blockchain has numerous applications, but once again it needs to relate to the use cases of trust. For example, integrating Blockchain into a smart contract for land ownership in an emerging market is a great example as paper records can be tempered with or disappear. There are many more cases such as remittances, payment or lower cost for financial inclusion, for example, where Blockchain could also be used correctly. Inevitably, despite it being hailed as a potential “second generation of the Internet”, some critics have been quick to highlight that with Blockchains’ international distribution it means there are no set rules to follow. This is a conflicting point as there will be different sets of Blockchain data for different types of transactions, moving between different networks. Another perceived problem could be transparency – the right to be forgotten. Due to the permanency of Blockchain, the idea of being transparent and forgotten makes it rather difficult. If everything is encrypted, there is also small chance that everything could be lost. As we see with any digital breakthrough, the potential disruption of existing business models is considered the biggest threat from Blockchain technology. Current businesses could see their dominant positions challenged, and as with any new system, some jobs and career paths could also become obsolete. On the positive side, new positions could also be created. The rapid growth in the size of a Blockchain leads to a scalability — meaning security could become difficult to handle. A larger Blockchain means better and increased security as the network grows and reaches a certain size, however, the bigger the Blockchain gets, the less scalable it can become with the sheer size of the data stored creating data storage space constraints. As we have seen particularly this year, nothing is completely impenetrable if it is stored online. Hackers will always find a way no matter what levels of security you may have and as with all technological progressions, they start at the outset as exciting, new and complex, but if the trust and loyalty of consumers is to be gained, businesses must look at using Blockchain carefully before it is taken further. The question we are left to consider - is data that is stored publicly ever truly private? Businesses can begin to rebuild these relationships with the consumer by solving the problem that matters first. Focus on use cases where trust is a major barrier and build solutions around this to make it real. Blockchain does resolve the lack of trust problem between consumers and businesses at the most basic of levels as it is a distributed database used in both public and private applications – rather than a centralised structure where all the important information is stored in a few large databases. So how can we regulate these fast-changing technologies without breaking business models? Some will hope the introduction of GDPR in May will tackle this issue. By implementing this data privacy control and organisation obligation it shows we are heading in the right direction by being up-to-date in a digital era. We must keep in mind that the top technology vendors and app developers are mostly from the US, however they collect a lot of their data from EU citizens. It is encouraging to know that EU governments want to regulate collection, usage and distribution of data on their citizens. It is also a chance for businesses to become more open and transparent about their intentions and strategy for using people’s data, and it should be embraced rather than seen as a burden. Predicting what way Blockchain will go next is hard matter to judge, but as it grows year-on-year and awareness of the data storage grows, we may see it extend its wings into other industries, from supply chains to retailers. Given what has been achieved since its birth 10 years ago, the future of this technology could be on our radar sooner rather than later.